This rare foliated mirror consists of gold and silver relief inlays forming alternating parrots executed on a green colored perimeter forming the face of the mirror. There are alternating honeysuckle flowers which complete the design. This mirror reflects the subtle, understated almost delicate feminine quality of Han period metalwork, ceramics and painting. There is extensive patination to the surface which is consistent with the dating of this object. 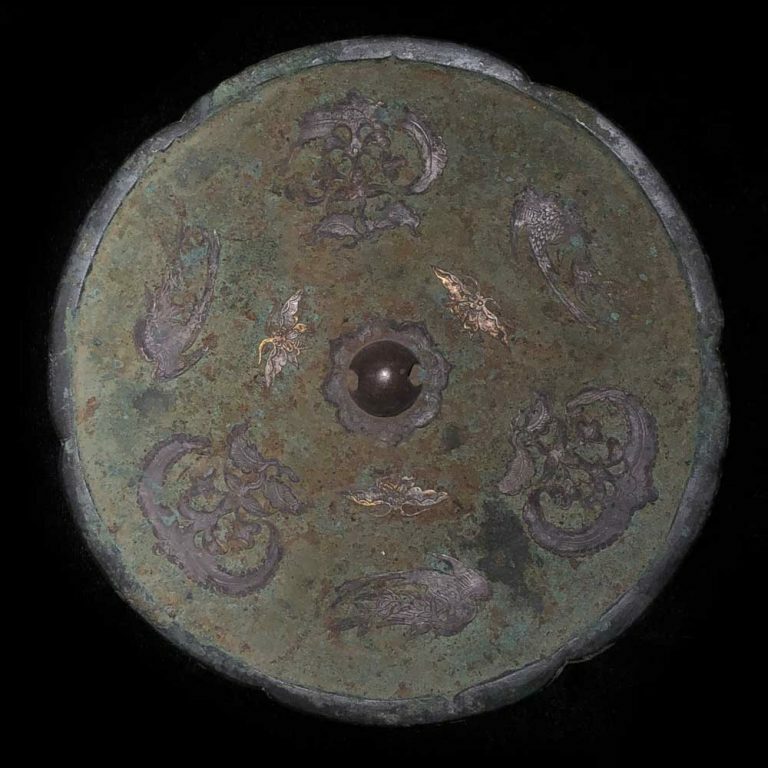 In our opinion, this mirror is a fine example of Han period period art.